We Buy Milwaukee Houses As-Is, Quick!Need To Sell Your House Fast? We Buy Houses for Cash! When your loved one passed the house on to you, they did so because they wanted to give you this gift. But selling the inherited house may make the most sense. So you’ve just read 3 things you can do in Milwaukee to prepare your inherited house for the sale. Brian Meidam is the owner of Plan B HomeBuyers, LLC, a local real estate investment company based in Brookfield, WI and Tomahawk, WI. Plan B HomeBuyers has been assisting homeowners since 2004 and is a proud member of the Better Business Bureau. 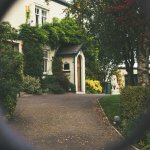 What If My House Won’t Sell During A Divorce in Milwaukee? I signed a sales contract with 1800ASISQUICK.com and we closed at their title company the very next day! They saved me from foreclosure and I’m able to move on and get back on my feet. Thank you so much! My tenants trashed the house and I called 1-800-AsQuick and they bought it As-Is so I didn’t have to do a thing to it. It was a very easy way to sell my house instead of having to fix it up and then try to find a buyer. They closed very fast, it was hassle free, and Brian was wonderful to work with! I’m so glad I called 1800ASISQUICK.com. They were very informative, educated me on my options, explained the process, and resolved my foreclosure problem. Thank you! We are a real estate solutions and investment firm serving the Greater Milwaukee area that specializes in helping homeowners get rid of burdensome houses fast. We are not realtors, we are investors and problem solvers who can buy your Milwaukee home fast with a fair all cash offer.